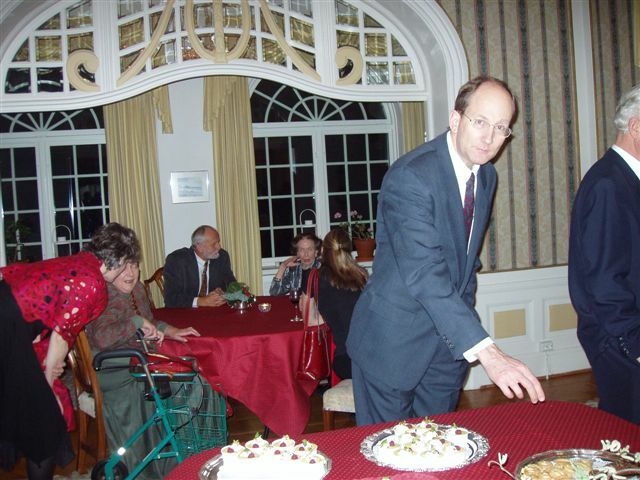 The 2008 Christmas Reception was hosted by the Ambassador on December 4. 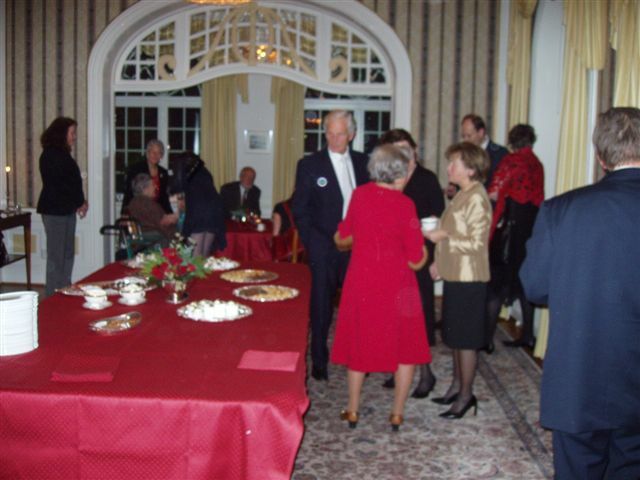 Ambassador Jillian Stirk opened her doors and welcomed just over 40 members for the festive reception. 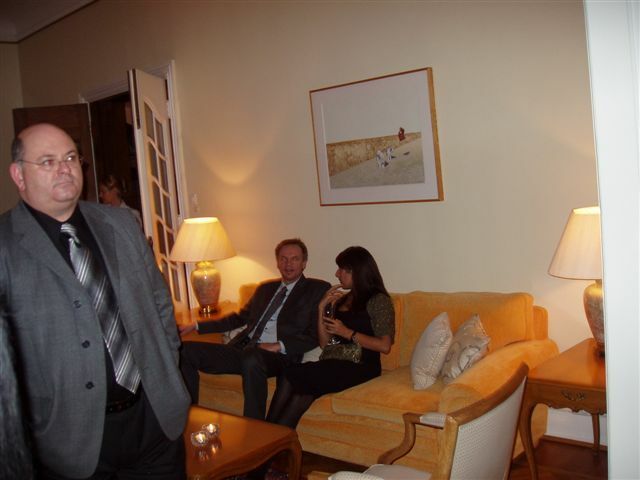 We would like to give a very big "thank you" to Janette Fjeldstad for the excellent organizing of this event. 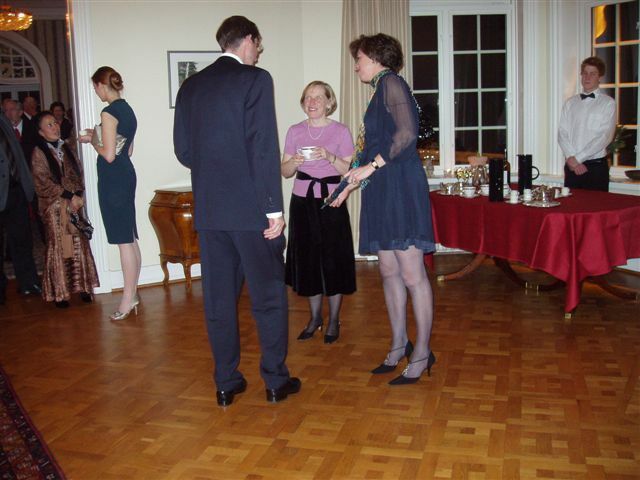 Unfortunately Janette was in London and was unable to attend the evening. 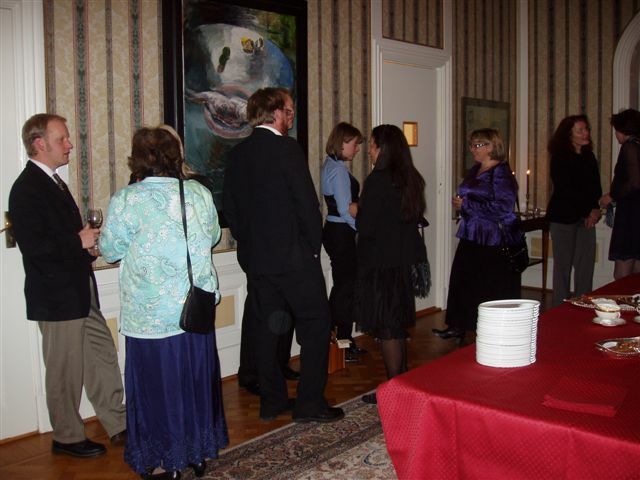 Thank you also to Gabriele Haddrath and Marie Martin for door prizes, and to Cam Day and Jo Waaler for helping out at the door and selling drink tickets. Behind the scenes, Glenn Martin and Jay Gustafson helped out with the registration and other details to make for an enjoyable evening.